provide business solutions through various marketing strategies and PR campaigns. 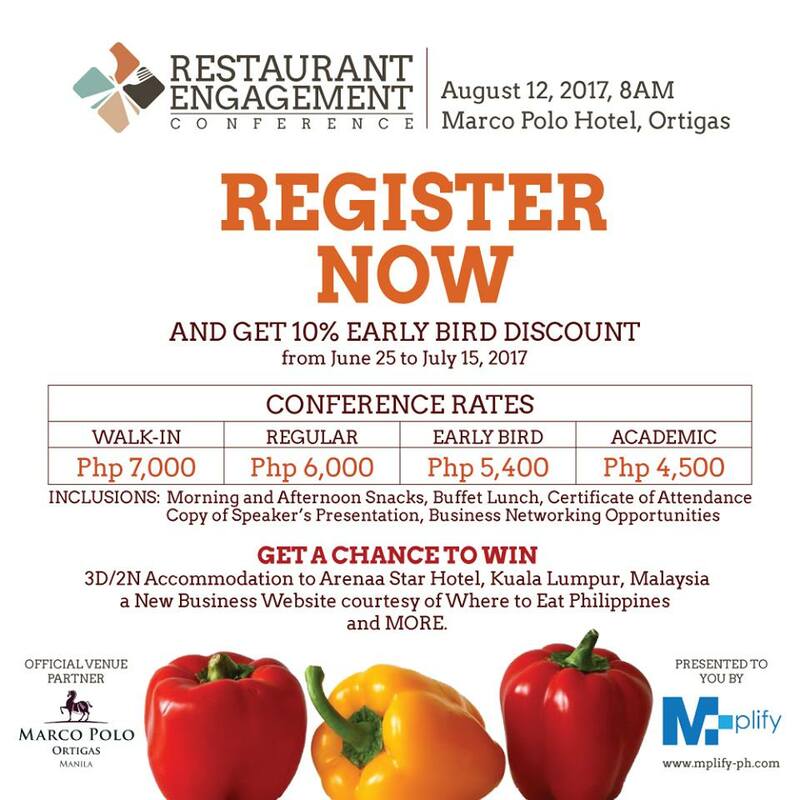 The first Restaurant Engagement Conference is by Mplify on August 12, 2017, at Marco Polo Hotel, Ortigas, Manila. It is an event dedicated to F&B Industry to be attended by SMEs, new brands, aspiring restaurateurs, F&B Professionals, and restaurant owners. 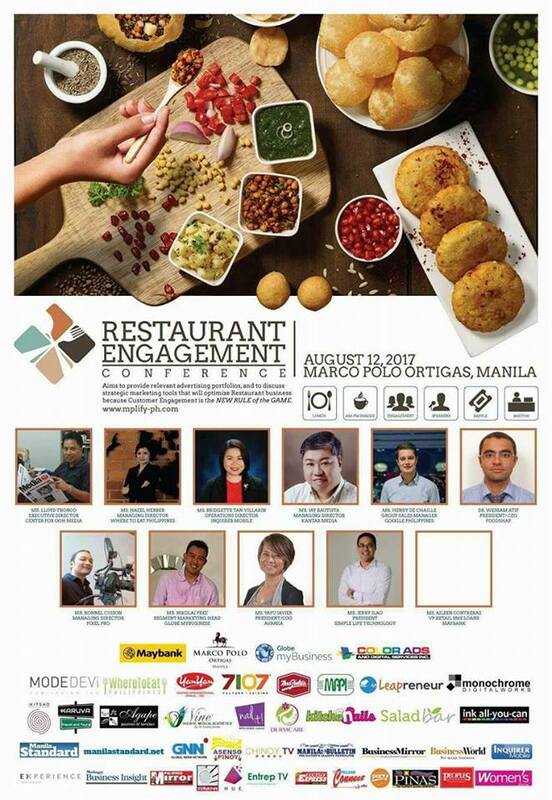 REC aims to Recreate your brand for today’s new trend, Empower local crafts and businesses, and Capture the right market which will be discussed by our respected speakers in order to utilize strategic marketing tools that will optimize Restaurant business performance in which Customer Engagement is the NEW RULE of the GAME. REC is dedicated to supporting Children’s Hour as its beneficiary to help One Children One Hour at a time. To register, visit www.mplify-ph.com and follow our social media accounts for REC updates in Facebook page @mplifyph and Instagram @mplify_ph. For other inquiries, you may reach us thru our mobile numbers: 0998.887.6063 / 0977-3597602 or email us at mktg.mplify@gmail.com.